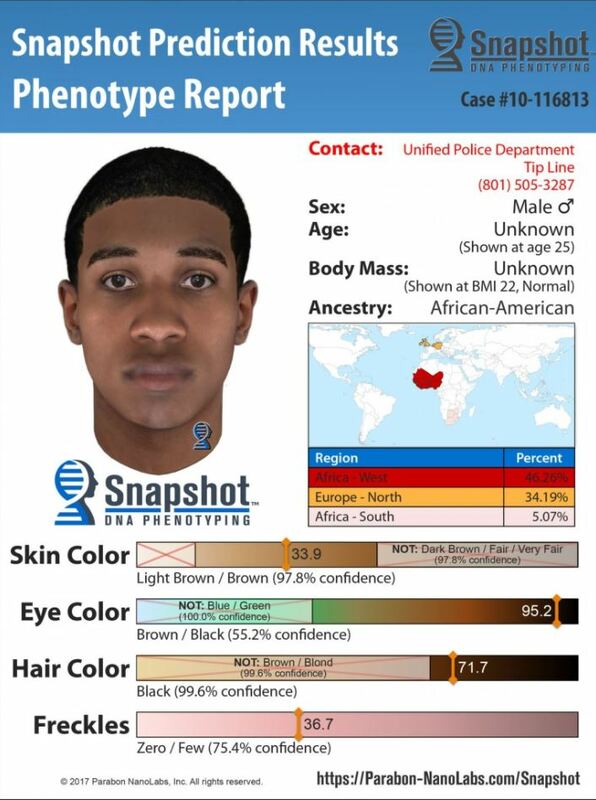 SOUTH SALT LAKE, Utah, Nov. 30, 2017 (Gephardt Daily) — The South Salt Lake Police Department announced Thursday that it has employed new DNA technology to generate a virtual snapshot of a possible suspect in the seven-year-old murder case of Sherry Black. The technology, known as familial DNA, allows experts using DNA collected from a crime scene to determine the contributor’s hair color, skin color, face shape and features, among other factors. Black was beaten and stabbed to death on Nov. 30, 2010. Blood evidence with DNA was collected at the crime scene, but the profile did not match any in crime databases, and still does not, according to South Salt Lake Police Chief Jack Carruth. The hope is that the new DNA snapshot will jog memories or be recognized by a friend or family member. DNA cannot predict haircuts, of course, but a basic face is produced for the DNA contributor at age 25, and then can be age progressed. The DNA left by the suspect at the scene belongs to a man of mixed African and Caucasian heritage, who has a light to medium skin tone. His eye color is in the dark but not very dark brown range. His ancestors come primarily from West Africa (46.26 percent) and Northern Europe (34.19 percent). Black was the mother of Heidi Miller, who, with husband Gregg Miller and the Miller family, has quintupled the existing reward for information leading to a conviction from $50,000 to $250,000. A hotline for tips as been set up. Reach it at 801-412-3688. 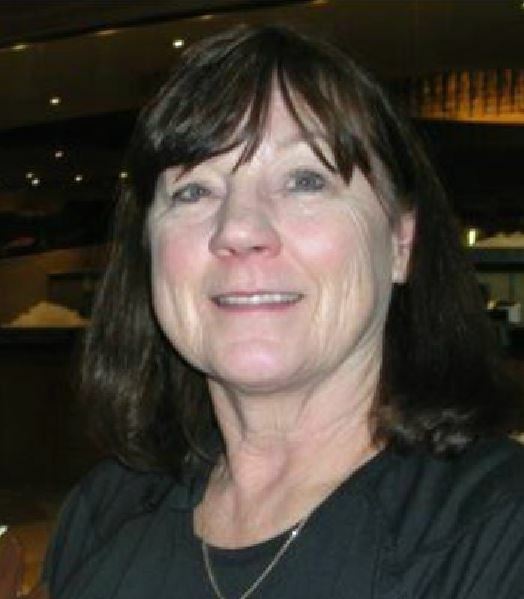 For more information on Black, the investigation and the reward, visit sherryblackinfo.com.